The sound of the lightly falling rain, in it’s on again off again dance, mixed with the sound of chirps and tweets. The gentle dripping sound as the raindrops weigh down the lush green leaves and collectively flow to the next leaf in it’s journey to the ground. Then, in the midst of the the relaxing spa soundscape, a crashing swoosh of pelting drops and scurrying varmints. Picture this…the squirrels are jumping from branch to branch shaking every leaf. 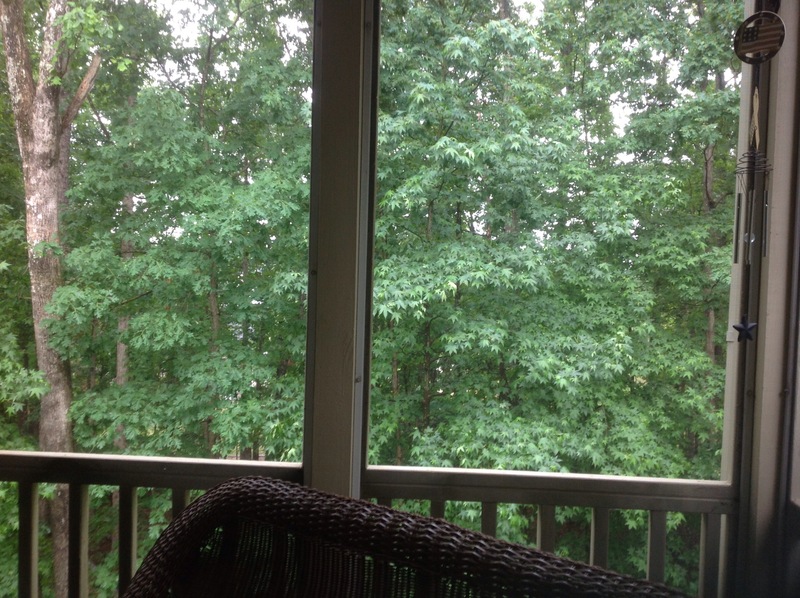 It is shaping up to be a blissful “Noisy Morning” complete with a set of rain sticks rotating like an hour glass. I need more coffee to enjoy this properly.